When the amount of glucose increases in the person's blood, then that person gets diabetes,In addition, the amount of cholesterol and fat in the blood becomes unbalanced which promote many other health problems.The person with diabetes becomes susceptible to kidney, eyes, brain and heart disease. Type1 - It is an autoimmune disorder, in which white cells of the body destroy pancreatic insulin-producing cells. Type2 - Type 2 diabetes does not have the right use of insulin produced in the body.Hormone that regulates the movement of sugar in the body,dosen't create enough insulin to maintain healthy glucose level in the body. Energy is required to do any task. The body also needs energy and the body does its supply, with the glucose available in the body. Glucose from the blood provides energy by reaching the cells through the hormone called insulin. 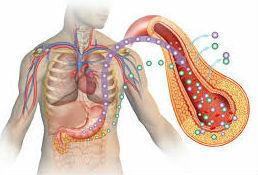 Insulin is produced by the pancreas in the body. Food goes into the body and changes into glucose and glucose in the blood. Diabetic patient is unable to make full use of available glucose in the body. Diabetes is a metabolic disorder. If the increased amount of glucose in the blood is not treated at the right time, it is very harmful to the vital organs of the body. Diabetes Mellitus is a very common and complex disease. This disease is caused by reducing the secretion of insulin from pancreas. Do you know about 350 Millions people suffer from this disease. The number of people suffering from diabetes in the coming time is likely near 600 million. All time feeling very weak and exhausted. Pain and stiffness in the feet and hands. Increase urinary frequency is the symptom of diabetes. All the symptoms mentioned above indicate diabetes, if any person feels such symptoms then he should consult with the doctor.